5 Star Painting understands that there are many painters out there to call. We differentiate ourselves by delivering top-quality products and over two decades of experience. We hold ourselves to the highest standard of painting while still remaining affordable. That’s why our customers continue to call us when they need painters in Camas or the surrounding cities. We have earned a reputation for quality, one customer at a time. Ask us about our one-year warranty (though, truth be told, our painting nearly always lasts much longer than that). Our painters offer free, no-pressure estimates that are honest and upfront—no hidden fees or surprises! We take the time to listen to what you want, so we can be certain to get it right. When we are done, if there is something you are unhappy with, just let us know. We will make it right. 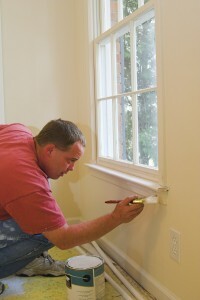 Our painters are overseen by the owner, who is along on every project. That is the level of commitment we put into everything we do. We use top-quality products that are also eco-friendly, low VOC to further ensure we are delivering the best painting in Camas. It is easy to offer a one-year warranty when we use only Sherwin-Williams paint, primer, and caulk. This trusted brand name paint has the longest warranty available and is known for superior, lasting quality. But we don’t stop there. We provide a full double layer of paint for both interior and exterior projects. Most painters use a 50-50 method of painting that does not completely cover the surface with two layers. Our painters believe we can do better by our customers with 2-coats for a longer lasting outcome. 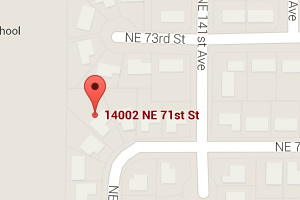 Contact us today to schedule our experienced, skilled painters in Camas.